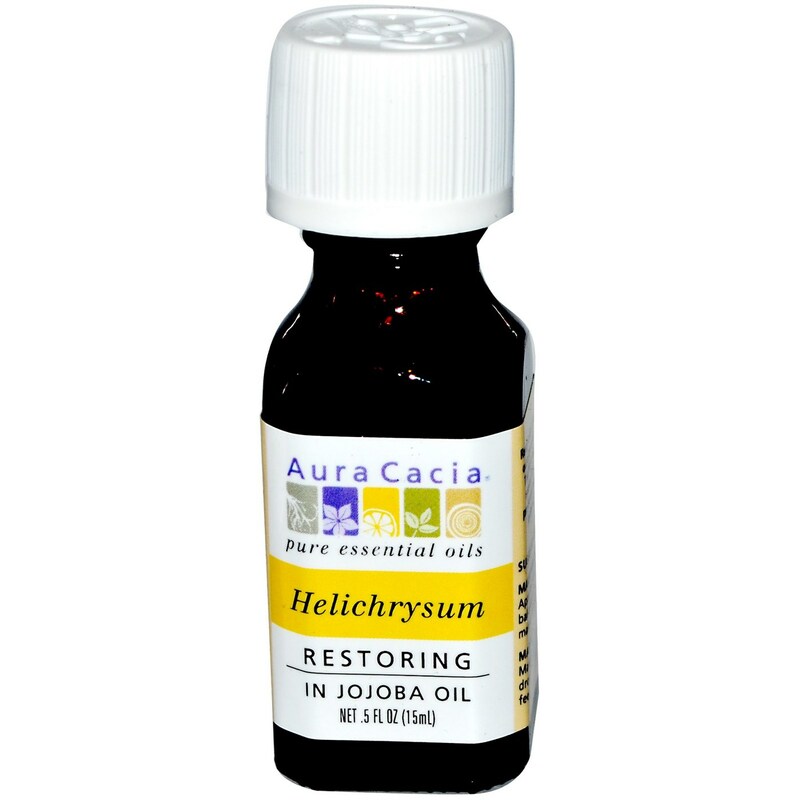 Helichrysum Essential Oils from Aura Cacia is blended in jojoba oil. 警告: If pregnant, suffering from any medical condition, or taking medication, consult a health care practitioner before use. Dilute properly. May irritate skin. Not for internal use. Avoid direct sunlight. Keep out of reach of children. 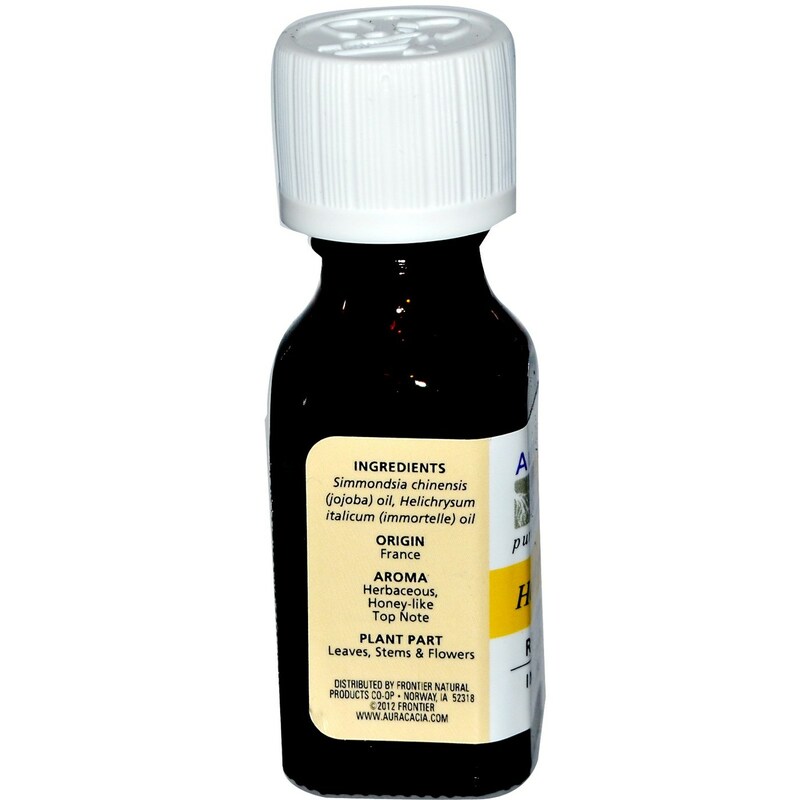 Ingredients: Simmondsia chinensis (jojoba) oil, helichrysum italicum (immortelle) oil. 推荐用法: Makeup Remover: Apply to cotton ball and use as a make-up remover. Massage: Massage several drops into tired feet.